For homeowners who are living in their home while it is listed, we offer 2 hour consultations. This involves a walk around your home, both interior and exterior, where we offer suggestions about how to make your property look its absolute best for photography for the MLS and to potential buyers who are viewing your home in person. This may include re-arranging furniture, paint color suggestions, packing away personal items and de-cluttering areas that have accumulated too much stuff. For those homeowners who need a little extra help, we can assist you at an hourly rate, and help to implement the suggestions made during the consultation. 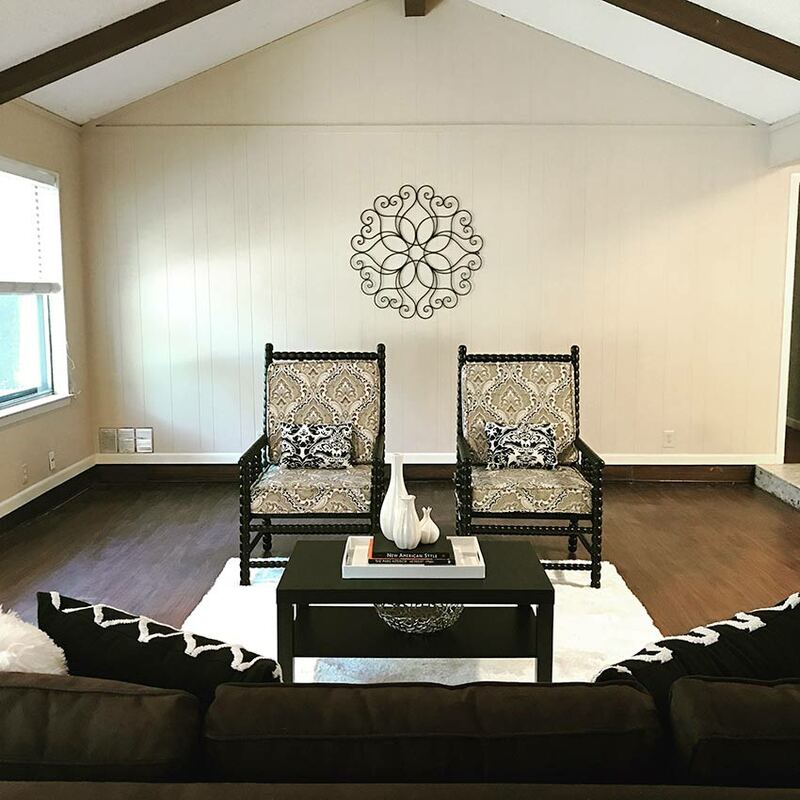 A full stage is usually the living room, dining room, kitchen, powder bathroom, master bedroom and master bathroom, however at Upstaged Home Staging and Interiors, we realize sometimes the budget is tight. We can work with you to determine the best use of your staging budget to decide which rooms are most important for each property. In addition to home staging, Upstaged Home Staging and Interiors also provides redesign services. Whether you want to re-do your entire house or just breathe new life into your powder bath, we can help. We can give you ideas on how to arrange your furniture in that challenging living room. We can assist you with that kitchen update by helping you choose new counter-tops, back-splash, faucets, hardware and more. If you’re considering repainting your house, but can’t decide which colors to pick, Upstaged Home Staging and Interiors offers color consultations. If you’re thinking about doing some remodeling, we can work with you to devise the new layout and even help you find a contractor. If you’re like most people, you’re busy. Not to worry, we can help you shop. Whether you need help picking out new bedding for the kids rooms before the company shows up, or just can’t decide which rug goes best with your new sofa, Upstaged Home Staging and Interiors can do the shopping for you. Do you love to entertain, but don’t have time to decorate? Upstaged Home Staging and Interiors can help. Let us make your home shine for that dinner party celebrating a promotion or engagement. Are the holidays creeping up on you? We can decorate the interior of your home to get you in the spirit, without all the hassle.